Achim Bieniek began his photographic career in 1995 with an apprenticeship at Studio Bischof und Broel in Nürnberg. 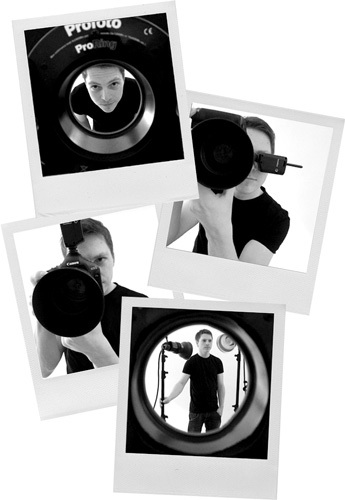 The main focus of his training lay on industrial as well as promotional photography. Thereafter he began working as a photographer´s assistant at Studio Ro in Fürth where the main focus was put on stills for companies like Faber Castell as well as fashion, furniture and people productions for catalogues. The staged and conceptualised approach of these fields of work is until today one of the fervours of the photographer. The elaborate handling of light is the center of his work. In 1996 he moved to Vienna, where he worked as an assistant for Curt Themessl. One year later he began working as a freelance photographer and started at the news agency REUTERS, for which he worked until the year 2000. From 2000 to 2002 he worked for NEWS magazine, which he left to find some new challanges at FORMAT magazine. For both magazines he worked as a photographer in all areas: politics, economy, culture, sports and people. Portraits and coverages, as well as industrial sujets are since this time his main working fields. Nowadays he works for companies and institutions like Siemens, the Austrian Lottery or the Austrian High Court, as well as for publishing houses and agencies like Red Bull Media, Publicis or Gruner + Jahr. The pleasure of working with people and the corresponding sensitivity for the subject, spontaneity and fun are part of any of his productions.